Whatever you totally geek out about, there’s a theme cruise for it. What could be better than a few carefree days eating excellent meals, looking out at the water, and visiting some of the world’s most beautiful places? Why, doing exactly that with a few hundred people who are totally into the same thing you are. It could be knitting or craft beer … cats or zombies … goth bands or Scottish pipers. Somewhere, somehow, there’s a theme cruise reveling in your very favorite thing. This is one of three new theme cruises on the adventurous small-ship line this year, along with a chairman’s theme cruise (introducing guests to company leaders) and an alumni theme cruise (a kind of reunion for past cruisers). 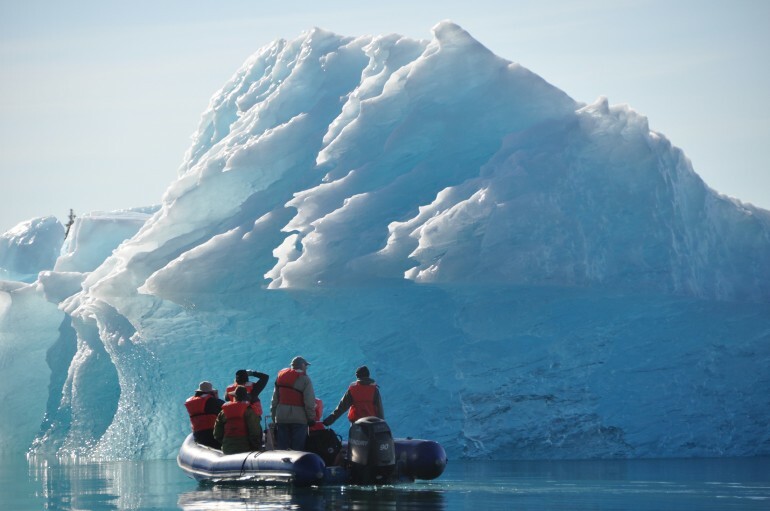 But during the fourth week of August, cruises visiting Glacier Bay National Park in Alaska will have special events commemorating the 100th anniversary of the founding of the National Park System on August 25, 1916. Guests aboard the 84-guest Safari Endeavour will explore the Alaskan wilderness, departing from Juneau, and will enjoy a commemorative gift and special celebration on board. Luxury tall-ship operator — now with three motor yachts in its fleet as well — has partnered with the culinary pros at the James Beard Foundation to cruise with some of America’s greatest chefs, fully immersing their guests in the finest foods and wines on the planet. The three mouthwatering journeys include a visit to southern Spain and Morocco with Michael Nischan, a champion of sustainable and local cuisine (on April 24); one cruise of Spain and France with Maria Hines, the organic chef behind Seattle’s renowned Tilth restaurant (on June 10); and another tour of ports from Galicia to Bordeaux with Matt and Kate Jennings, four-time James Beard Foundation Award nominees for Best Chef: Northeast (on August 9). Each cruise includes cooking demonstrations and an onshore outing, such as a local market tour, as well delicious tastings. If London Fashion Week and New York Fashion Week simply aren’t fabulous enough for you, get the best of both combined, September 1 through 8, aboard Queen Mary 2. The debut Transatlantic Fashion Week voyage will include talks and designs by Dame Zandra Rhodes, Colin McDowell, “Godmother of Fashion” Fern Mallis, and up-and-coming designers from The Royal College of Art. And, of course, the ship docks in the Big Apple just as New York Fashion Week begins. This cultured cruise departs Singapore on April 12, with guest speaker Dr. Carol Reynolds, a music historian with a special interest in German Romanticism and the musical court of Frederick the Great. Spend the days touring the quaint villages and vibrant cities of South Asia and the Middle East, and spend the evenings immersed in the Golden Age of European music, art, and performance. If you’re thinking it might get stuffy, don’t – after founding Southern Methodist University’s Study-in-Germany program, Reynolds moved to a ranch in North Texas, where she creates multimedia Fine Arts curricula while enjoying her goats, dogs and cows. Her humor and high energy have made Reynolds a sought-after speaker for organizations like The Dallas Symphony, San Francisco Wagner Society, and the Fort Worth Opera. The godfather of Miami’s own Norwegian Escape is taking over another ship, Norwegian Pearl, on March 10 to 13, 2017, to throw a party to remember. There will be theme nights, special performances by Pitbull and his closest friends in the biz, nonstop music on multiple stages, a dance boot camp with The Most Bad Ones dancers, and Q&A sessions. Plus, you’ll get a commemorative item autographed by Pitbull. Also a nice bonus: You can start the fun early with the Pitbull After Dark Party Facebook group.